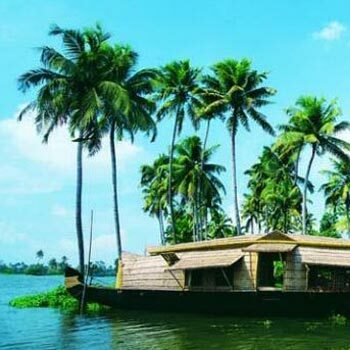 Thiruvananthapuram or Trivandrum is the capital city of Kerala. 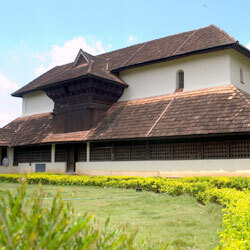 It is also the headquarters of Thiruvananthapuram District. 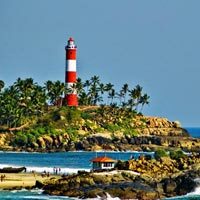 Situated on the west coast of India; the father of nation, Mahatma Gandhi also called it the "Evergreen city of India". 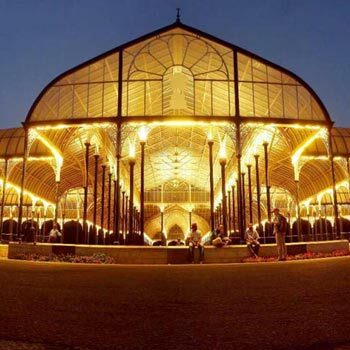 The city is also one of the major exporters of software in the state and is also reckoned as a chief IT hub. 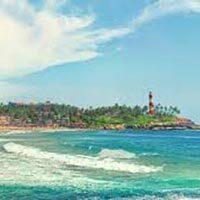 The city, Thiruvananthapuram is also home to many central and state government offices and all year round a lot of political activities take place in the region. There are also many schools, and science & technology institutes in the city. 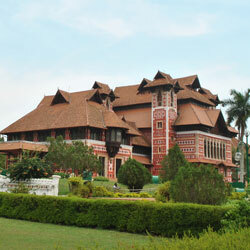 The University of Kerala is also located here. 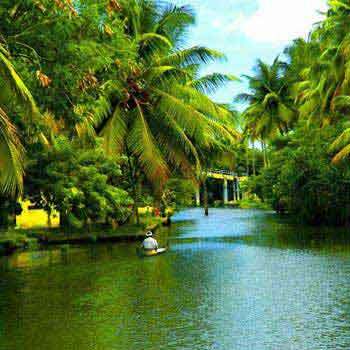 Thiruvananthapuram is counted amongst the 10 greenest cities in the country. 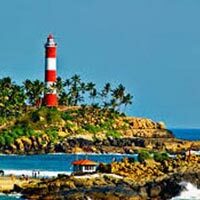 The city was called Trivandrum until 1991 and it had derived its name from the word ‘thiru-anantha-puram’, a Malayalam word. 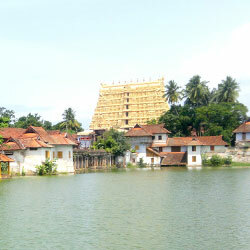 Sri Padmanabhaswamy temple located here is the richest temple in the whole world. 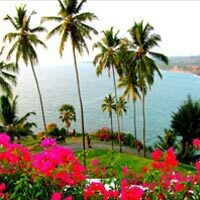 Climate : The influence of sea and proximity to the equator affects the climate to a great extent. It is very moderate, not very hot nor very cold. 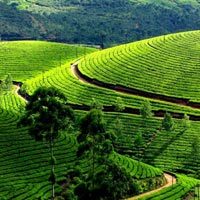 Main Languages : Malayalam, Malayalam mixed with Tamil and English. Temperature : Summer - Max : 36.2. Min : 20.6. Winter - Max : 35.0. Min : 18.0. 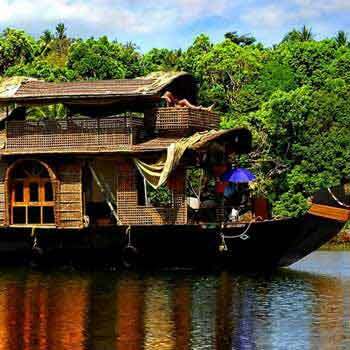 Thiruvananthapuram is nestled on 7 hills near the shores of the sea. 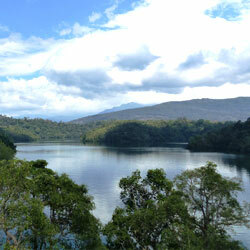 Slumped on the west coast of the country, the city is bordered by Laccadive Sea from west side. 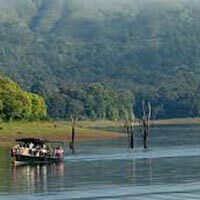 The city also sprawls on the banks of rivers, Karamana and Killi. 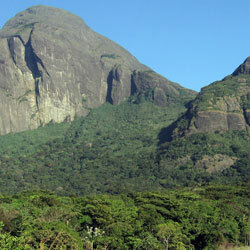 Thiruvananthapuram experiences tropical monsoon climate and tropical savanna climate. 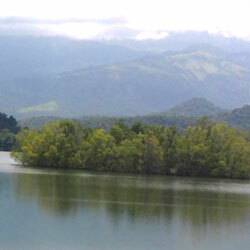 The maximum mean temperature of the city is 34 °C and minimum mean temperature is 21 °C. March, April and May are hottest months, and December, January and February are coldest months. 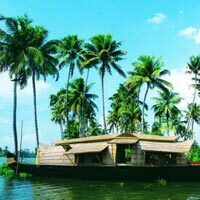 One can easily get the cars, bicycles and two wheelers on rent while in Thiruvananthapuram. One can also opt for public transport such as taxis, buses and auto rickshaws. Car/Taxi: All public cabs running in the city are ambassadors and one can also book modern cars by making a request to the hotel or the travel agent. Bus: The various buses in the city are operated by government (KSRTC) and several private companies. During the peak hours, the buses are usually very crowded. Auto Rickshaw: Auto rickshaws are the cheapest way of travelling and one can board an auto rickshaw easily from any bus stand, auto rickshaw stand or from the railway station. Some of the popular shopping plazas in the city are SARWAA Your Lifestyle Store, Glen Lear, Style Plus, Saphalyam Shopping Complex etc. If one moves around in the city with a shopping agenda, one can find any thing from books, jewellery, textiles, handicrafts etc. There are many art galleries, theatres and movie halls in the city too.